These Santas, along with their helpers, seem to have forgotten that Santa travels by sleigh. 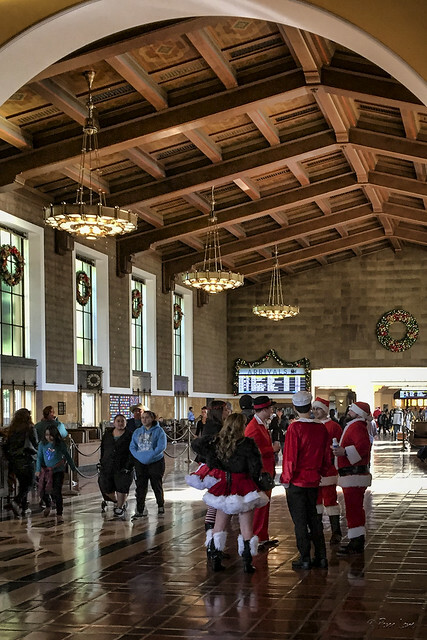 We spotted them in Union Station in downtown Los Angeles (across the street from Olvera Street). 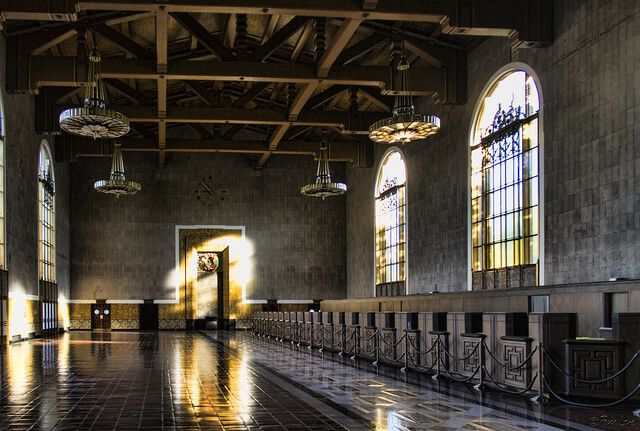 Union Station holds what I think is one of the most beautiful rooms in the city. This is the original ticket lobby, with the ticket counters on the right. I nearly always arrive when the room is blocked off for some special event. This means that I can't go in to explore the area in greater detail. On the other hand, it means that there isn't a single person to block my view.